If you are one of the brave men and women who have served your country in the Armed Forces, the entire country owes you a debt of gratitude that can never truly be repaid. As a veteran, or the surviving spouse or dependent of one, you likely realize you are entitled to benefits; however, you may not be aware of the extent of the benefits available to you. For example, you may be entitled to benefits from the Veterans Aid & Attendance (VA&A) program which is a benefit program with which many veterans are unfamiliar. If you have been denied benefits, are unsure of the benefits you qualify for, or simply want to discuss how your benefits fit into your estate plan, our Veterans Benefits attorneys can help. The attorneys and staff at Levine, Furman & Rubin, LLC have a deep appreciation for your service or sacrifice. We would be honored to help you with any legal issues you may have regarding your veterans benefits. Contact us today by calling (732) 238-6000 or by filling out our online contact form so we can get started today. What Veterans Benefits Might Be Available? Disability Benefits — veterans who have disabilities, medical conditions, or injuries incurred or aggravated during active military service may be eligible to receive tax-free monthly benefits. Health care – veterans and their families may be eligible for excellent health care for life. Education benefits – you may be eligible for lost cost, or even free, retraining or continued education as a veteran. Home loans — several loan programs provide low interest rate financing for veterans, and surviving spouses, who wish to purchase, or refinance, a home. Another little-known benefit program for veterans is the “Veteran’s Aid & Attendance” program. The VA&A program is intended to provide additional monetary assistance above and beyond that provided by the VA pension program. The additional assistance is aimed at helping veterans who need help with daily tasks of living, such as dressing, bathing, or cooking by providing the financial resources to hire someone to help. The “Housebound” program provides similar benefits for veterans who are substantially confined to their immediate premises because of a permanent disability. 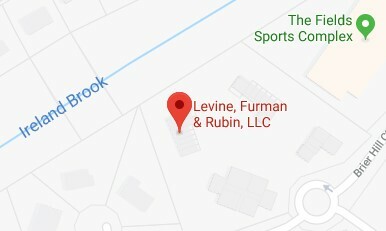 The New Jersey Veterans Benefits attorneys at Levine, Furman & Rubin, LLC have a deeply held respect for the men and women who have served out country as well as for the families of those who have served. We are committed to helping veterans and their families qualify for the benefits to which they are entitled. Contact the team today by calling (732) 238-6000 or by filling out our online contact form.